On March 3rd, the Medicare Payment Advisory Commission (MedPAC) discussed proposed reforms to the Merit-Based Incentive Payment System (MIPS) and Advanced Alternative Payments Models (A-APMs). The purpose of this meeting was to review the issues and challenges facing the Medicare program and then making policy recommendations to Congress. Commissioners suggested different ways to help physicians’ transition from MIPS to A-APMs, and discussed their recommendations for the future. As soon as 2021, MedPAC determines a prospective payment system for post-acute care settings (PAC PPS) could be implemented. In the meeting MedPAC proposed recommendations for a PAC PPS, including a three-year transition period for implementation, a three percent reduction in aggregate payments, giving the Secretary the authority for periodic revisions and rebasing of payments to match up with the current cost of care, and the integration of uniform functional assessment data into the risk adjustment method. The goal of these recommendations is to lower spending, correct injustices in current payments that may favor certain patients and providers over others, redistribute payments across providers to limit inequalities in profitability, and increase the willingness of providers to treat all types of patients to make it easier to place them upon discharge. 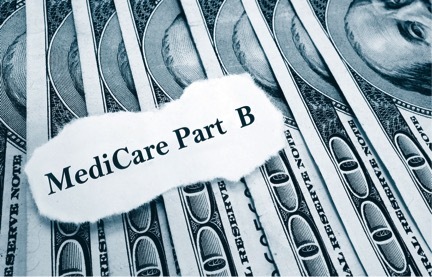 Medicare Part B covers prescription drugs administered in a physician’s office or hospital outpatient department. MedPAC suggested recommendations to reduce growth in Part B drug spending. Since 2009, Part B drug spending has grown nine percent annually. The proposed recommendations, if implemented, would modify the average sale prices (ASP) in 2018 to require all manufacturers of products paid under Part B to submit ASP data and reduce wholesale acquisition cost (WAC) based payment to WAC plus three percent. It would also require manufacturers to pay Medicare a rebate when the ASP for their product exceeds an inflation benchmark, and require the Secretary to use a common billing code to pay for a reference biologic and its biosimilars. The first strategy proposed is the implementation of a new alternative called the Drug Value Program (DVP) no later than 2022. Under this system, Medicare would contract a small number of private vendors to negotiate prices for Part B Products, and cannot exceed 100 percent of ASP. Providers would pay negotiated prices for DVP products and Medicare would pay providers the negotiated price plus an administrative fee, but with the opportunity for shared savings. The second strategy, upon the creation and implementation of the DVP, is to reduce the ASP add-on under the ASP system. MedPAC thinks the MIPS system under MACRA is inadequate at identifying high value physicians. Therefore, they are considering a series of ideas designed to fix this problem, including replacing all measure reporting by clinicians with patient experience measures, creating policies to move clinicians from MIPS to A-APMs, and making A-APMs relatively more appealing for clinicians. MedPAC also discussed different ways to better support primary care, including upfront payments for primary care providers in two-sided Accountable Care Organizations (ACOs), and providing all primary care providers with a per beneficiary payment. MedPAC also discussed to what extent a premium support system in Medicare should have standardization in benefits, cost sharing, and other features. One premium support model discussed in the meeting, would involve a standardized benefit package, with cost sharing that is standardized or insurance equal across plans, and a standard option would be available for beneficiaries to buy. Similar to Medicare Part C, plan bids will determine the government’s contribution towards a beneficiary’s choice, and fee-for-service Medicare is treated as a bidding plan. At HIS, we are committed to bringing you timely industry updates to keep you and your practice up-to-date. If you would like more healthcare industry updates, take a look at our blog or sign up for our monthly e-Newsletter today!